RTÉ is to launch a high definition version of RTÉ One next Monday (16th December), according to a report in the Irish Times. Technical changes to the Saorview digital terrestrial television service in October have paved the way for the launch, with RTÉ One moving to a new, second multiplex of digital channels available free-to-air to viewers in the Republic of Ireland and parts of Northern Ireland via a regular aerial. In recent weeks, an upscaled version of RTÉ One has been present on Saorview. 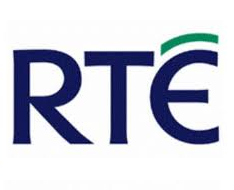 RTÉ One HD will replace the standard definition service, following the lead of RTÉ Two, which already transmits in HD. Viewers in Northern Ireland with a TV compatible with MPEG4 (most pan-European TV models) or a Freeview HD certification (which includes MPEG4 compatibility) and who are able to receive a TV signal directly from South of the Border will be able to benefit from the new HD channel. It is not be confused with the RTÉ service, broadcast in parts of Northern Ireland from transmitters within the province via Freeview channels 52 and 53, which will remain in standard definition, despite requiring a Freeview HD certified receiver. According to the report in the Irish Times, RTÉ One HD will join Sky's Irish channel line-up shortly after the Saorview launch. With a platform change freeze for Christmas at hand, the addition of RTÉ One HD will likely take place in the new year. If possible, please could you remind us what configuration the multiplex NI Mux is in to reduce the total bitrate to ~9.9Mbps? Would it be possible for this multiplex to be re-configured to be like the G_MAN multiplex serving Manchester? It's a DVB-T2 QSPK multiplex - designed for maximum coverage, despite low power. The G_MAN mux is DVB-T 64QAM, configured to carry more channels, but with considerably poorer coverage than if it was set-up like NI Mux. Thanks, so a DVB-T2 64QAM would also severely provide poorer coverage too? How about a DVB-T2 16QAM mux with FEC of 1/2 or 3/5 or a QPSK mux with FEC of 5/6 could carry one or two HD channels? Would these also weaken the current coverage significantly? QPSK offers best coverage when using low power. Anything else, and certainly an increase in the FEC makes the signal less robust. That's why pre-switchover, some multiplexes went from 64QAM down to 16QAM. Remember that only certain combinations of mode/FEC can be used on receivers that have the Freeview or Freeview HD certification.